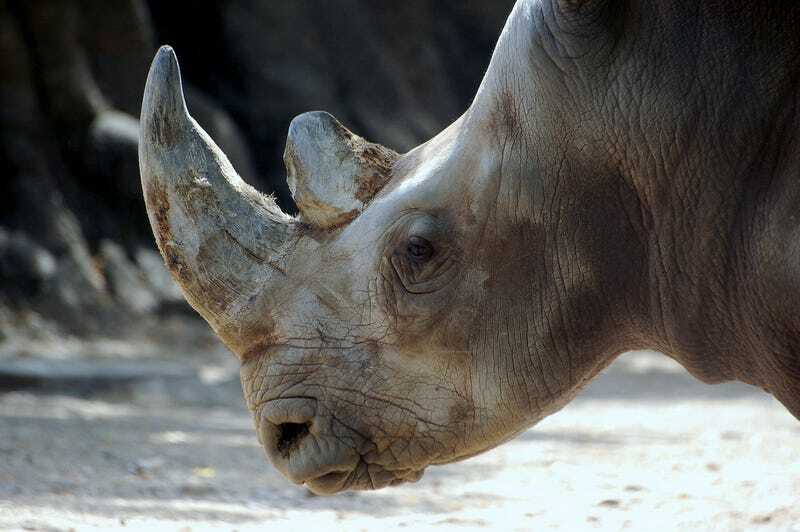 Poaching could be the greatest threat facing Africa's dwindling rhinoceros populations. Wildlife officials, for their part, are fighting back – often in unconventional ways. Their latest tactic? Microchip implants. Top photo by digitalART2 via flickr. Kenya is planting a microchip in the horn of every rhinoceros within its borders, as part of a bold plan to crack down on poaching. The WWF has provided the country with more than 1,000 microchips and five scanners, which will allow officials to track Kenya's fragile rhino populations, the Kenya Wildlife Service (KWS) said in a statement this week. The idea is that tracking each rhino will allow authorities to monitor the animals more closely, while supporting anti-poaching and trafficking measures. Officials hope this surveillance will further deter poachers from slaughtering rhinos, which, like elephants, have been targeted for their ivory horns. The 1,000 chips and five scanners were donated at a cost of $15,000, marking the latest efforts by international groups to stamp out poaching across the continent. In July, President Barack Obama launched a $10 million campaign to help combat poaching in Kenya, South Africa, and the sub-Saharan region, drawing praise from conservationist groups. The issue drew renewed attention last month, after it was determined that poachers used cyanide to kill more than 80 elephants in Zimbabwe — a sign, officials say, that wildlife traffickers are using ever more advanced techniques to evade authorities. To clarify: the chips would enable wildlife officials to better monitor the location and movement of rhinos themselves, not necessarily track a poached horn (what's to prevent a poacher from extracting the chip, after all?). One can't help but wonder if a similar technique might work for tracking elephants, who are similarly threatened by poachers.